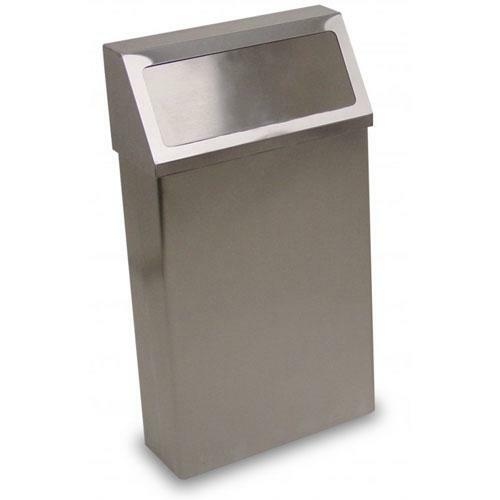 Detecto’s wall-mount hanging waste receptacles allow for quick and easy cleaning and can be permanently positioned just off the ground for sweeping and mopping underneath to keep debris from collecting around the base. They are equipped with a self-closing lid, mounting brackets and a bag securing mechanism. Available in stainless steel or a white-baked epoxy finish and 60 or 90 quart (15 or 22.5 gallon) capacities.